A route to success is identified and followed for the Eagan freshman: "Go for it more." When Camden Palmquist wanted to take his skiing to another level, he went straight to the world’s elite. 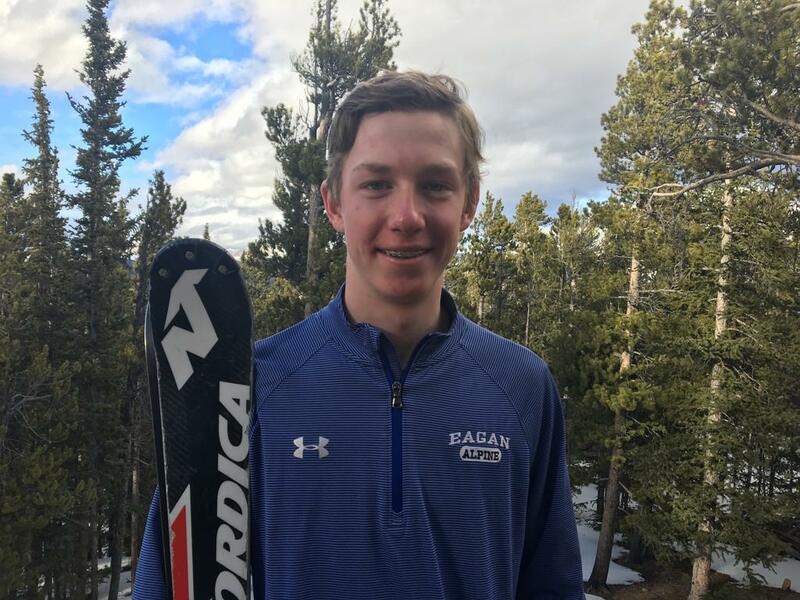 It helped the Eagan freshman to a runner-up finish in the boys’ Alpine skiing state meet in February at Giants Ridge in Biwabik and selection as the Star Tribune Metro Boys’ Alpine Skier of the Year. It became a noticeable improvement for the downhiller. A couple of other changes also led to a better season. “I narrowed my stance, and that allowed me to go for it more,” Palmquist said. “I’m also a lot stronger than last year.” He added 5 inches and 15 pounds, up to 5-7 and 130. Palmquist made the climb from 26th place as an eighth-grader. His goal, however, will remain the same as this past season.